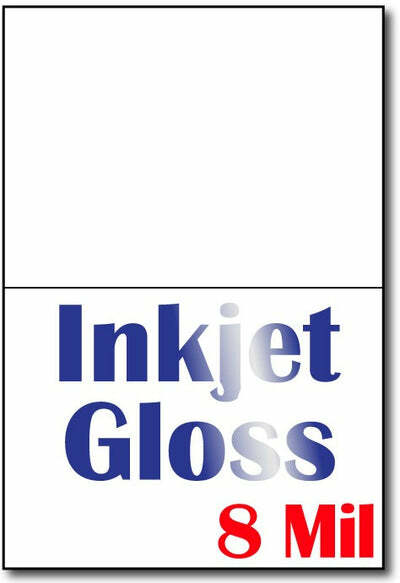 8 Mil Inkjet Gloss A6 Cards are the perfect stock for your greeting cards or invitations! Our A6 Cards measure 4 5/8" x 6 1/4" and fit perfectly into our A6 Envelopes (sold separately). For printing convenience, cards are packaged flat, measuring 6 1/4" x 9 1/4". Scored for easy folding. Made from an 8 Mil (195 gsm) White Glossy Cardstock that is Inkjet Compatible Only. Glossy on front side, matte on the back. Optimized for HP printers but will work in almost any brand of inkjet printer.